Advances in Catalysis, Volume 61, fills the gap between journal papers and textbooks across the diverse areas of catalysis research. 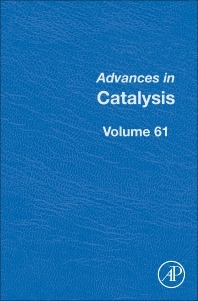 For more than 60 years, this series has dedicated itself to record and present the latest progress in the field of catalysis, providing the scientific community with comprehensive and authoritative reviews. This series is an invaluable and comprehensive resource for chemical engineers and chemists working in the field of catalysis in both academia and industry.